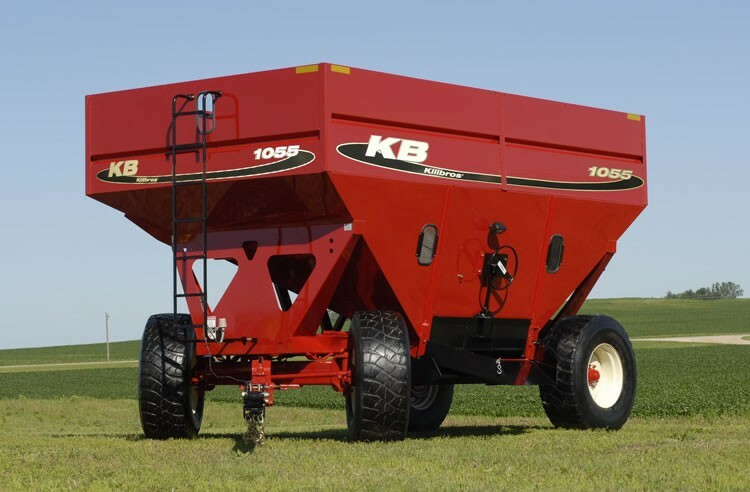 Combining reliability with operator convenience, the Killbros 1055, 1065 and 1075 wagons provide efficient transportation of your most valuable possession at harvest time. 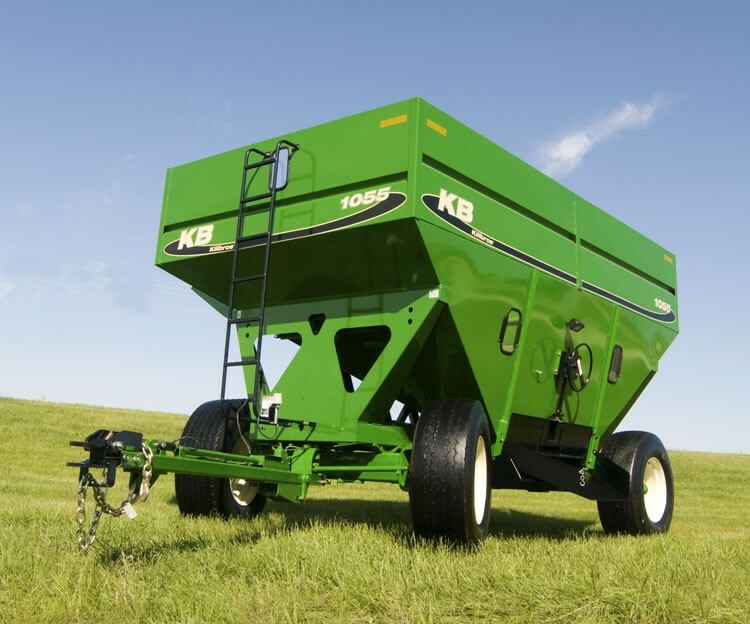 Available in 750, 650 and 550 bushel capacities. Graphite-coated interior for quick unloading and complete cleanout. One-piece, welded box construction and silicone sealed seams for long-lasting durability. 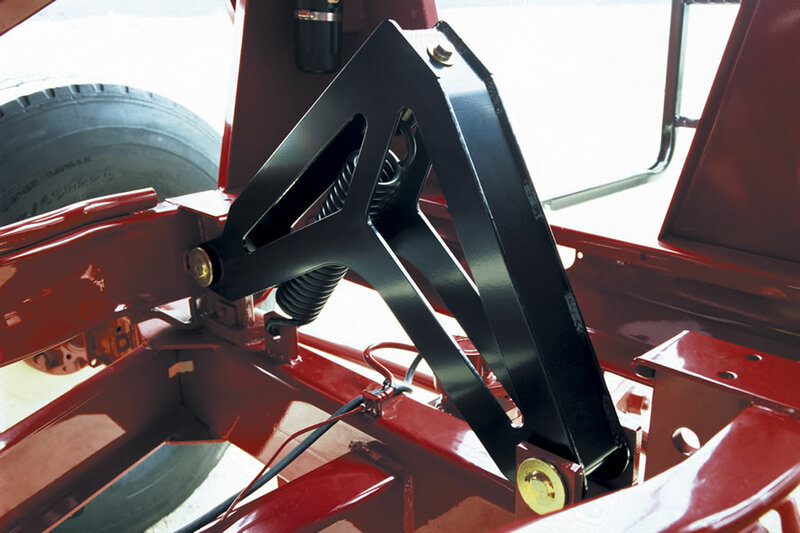 Adjustable chute height for unloading into different augers and conveyors. 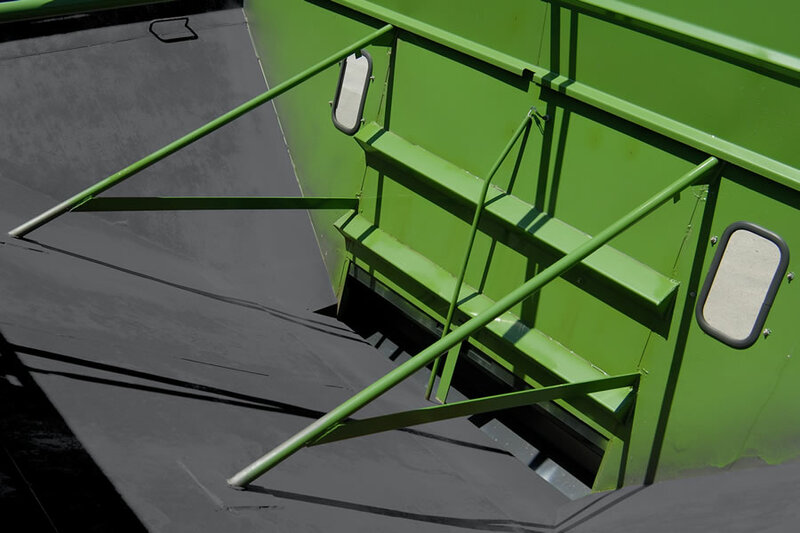 Center-dump deflector chute for convenient pit dumping. Lighting and reflective stripes that meet the strictest state requirements. Steep end slopes for excellent cleanout (40° on 1055, 37° on 1065 and 36° on 1075). Front viewing ladder and front, rear and side windows for safer viewing of wagon contents. 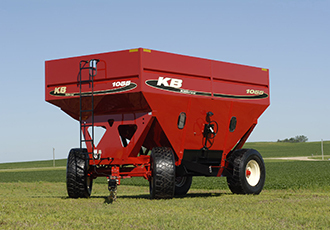 Durable top coat of high-grade enamel paint is baked on in tractor red or green for a smooth, automotive-like finish. Large 60" door with 12" sample door for quick and convenient unloading of even high-moisture corn. 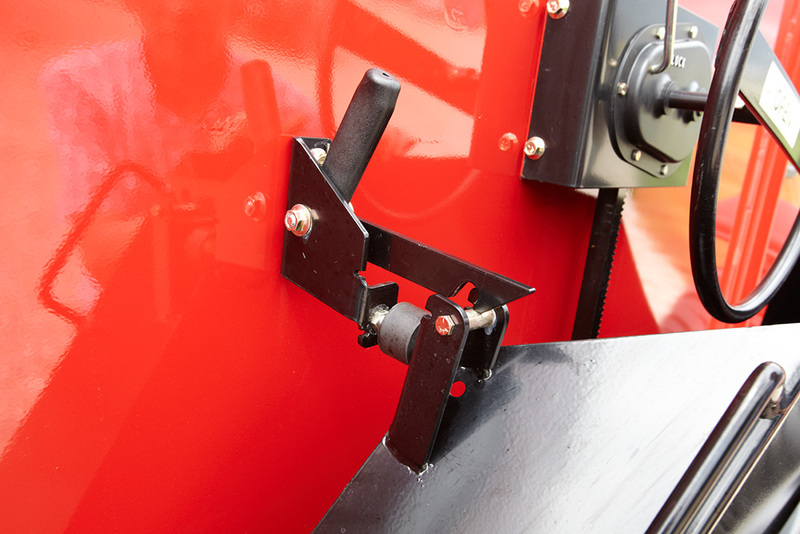 Self-locking design on the unloading chute for quicker and easier operation. Wheel-operated door with gear reduction and lock for easy unloading. Convenient light over chute for nighttime unloading. Surge brakes automatically disengage when backing for operator convenience. 4-wheel surge brakes standard on models 1065 and 1075. 2-wheel surge brakes standard on model 1055. Torsion-arm suspension keeps box tight to gear during empty transport. 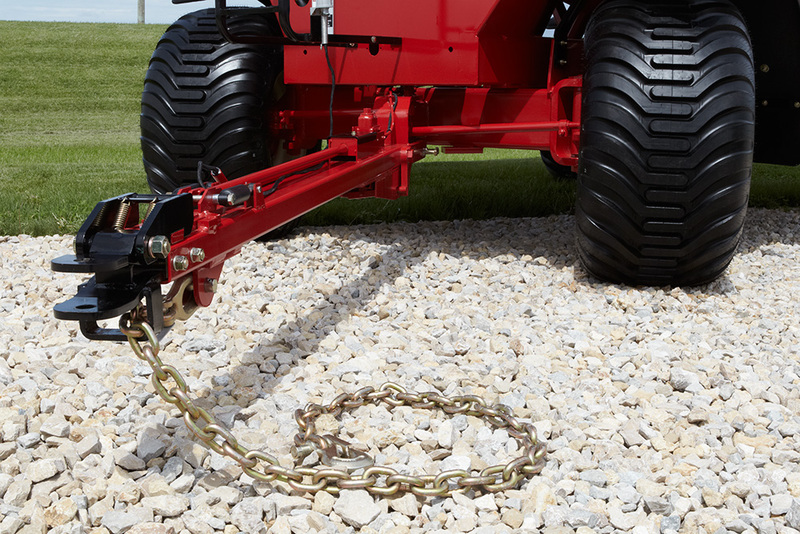 Extendable tongue with spring-assist for easy hookup along with standard safety chain. 8-bolt hubs/wheels on 1055 and 10-bolt hubs/wheels on 1065 and 1075. 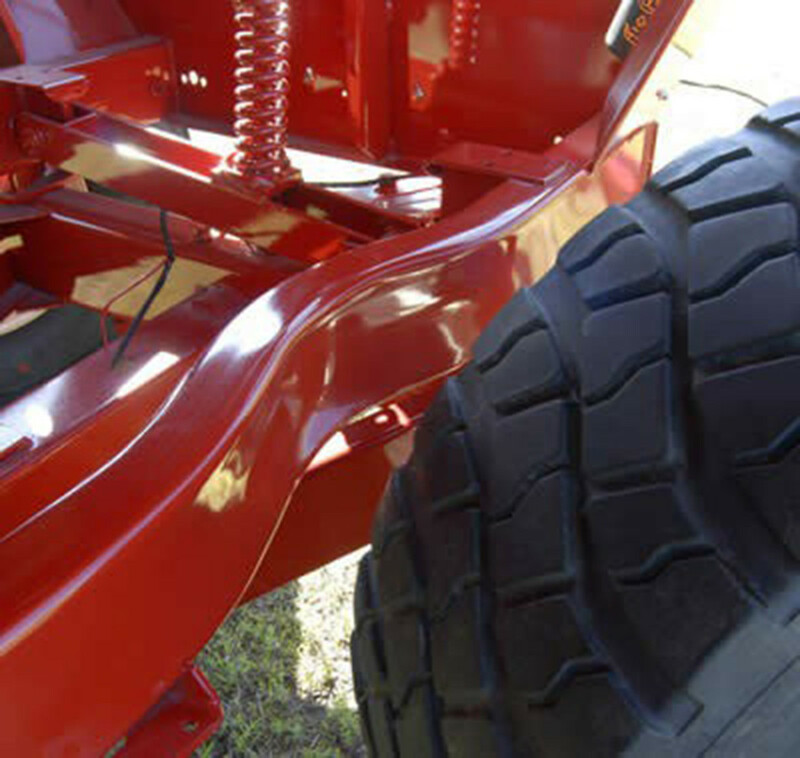 Indented runners allow for a 40% tighter turning radius and better manuverability. 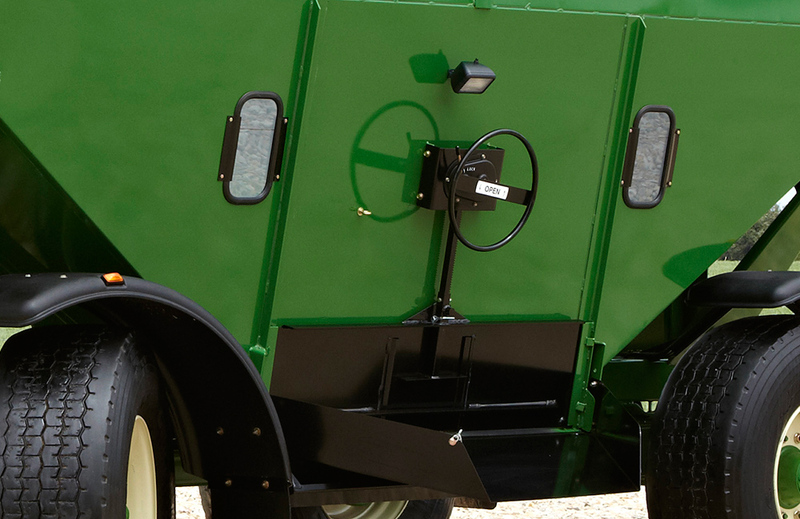 Rear-mounted hitch, electrical outlet and chain attachment allow for easily connecting two grain wagons. 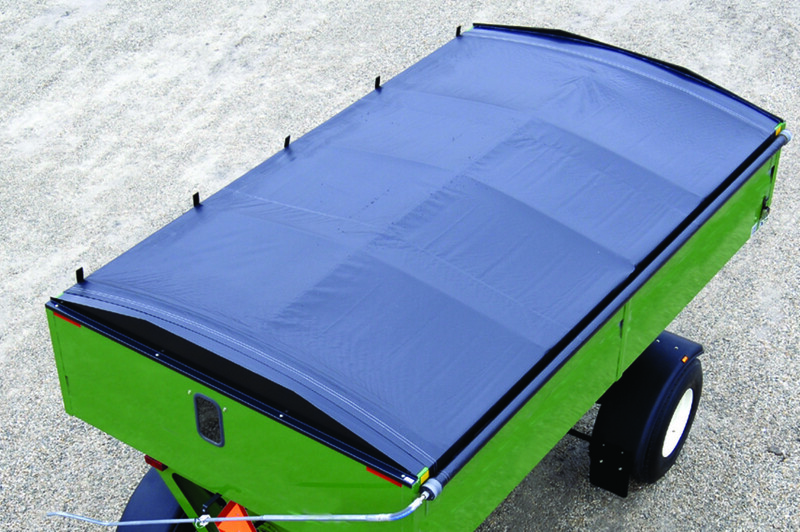 Fender package helps protect the wagon from debris for a long lasting high-quality finish. 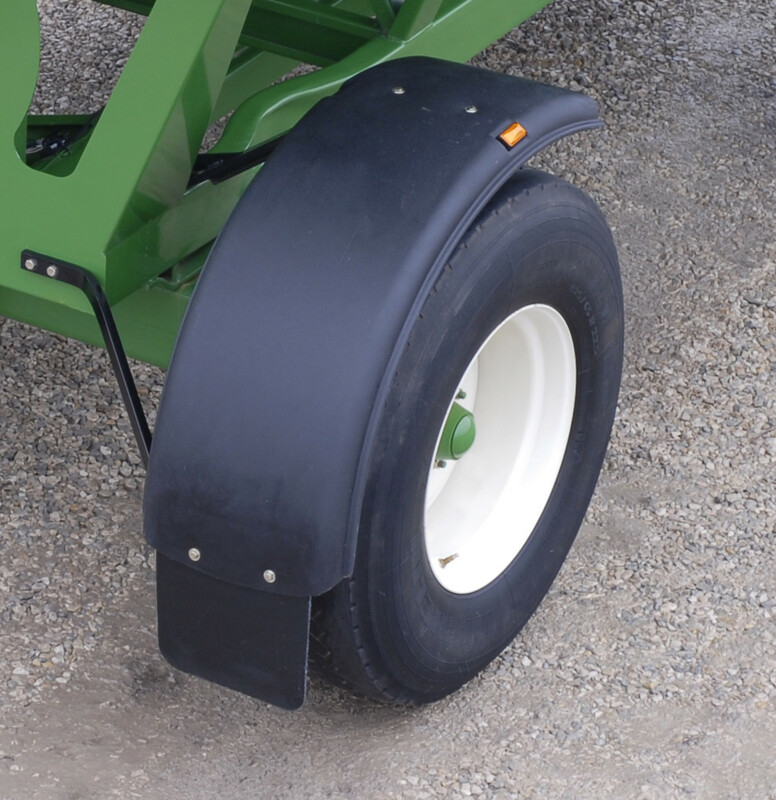 Weatherguard roll-over tarp protects grain from adverse weather conditions. 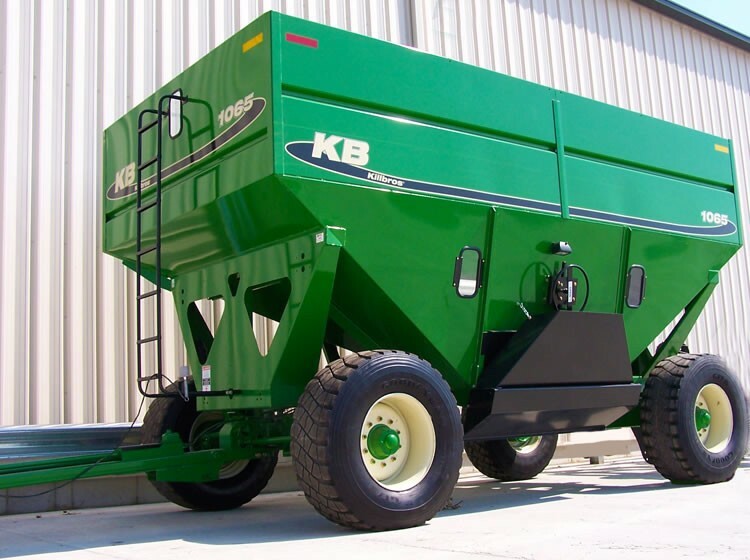 The hopper can be confirgured for right-side unloading to meet your operations needs.